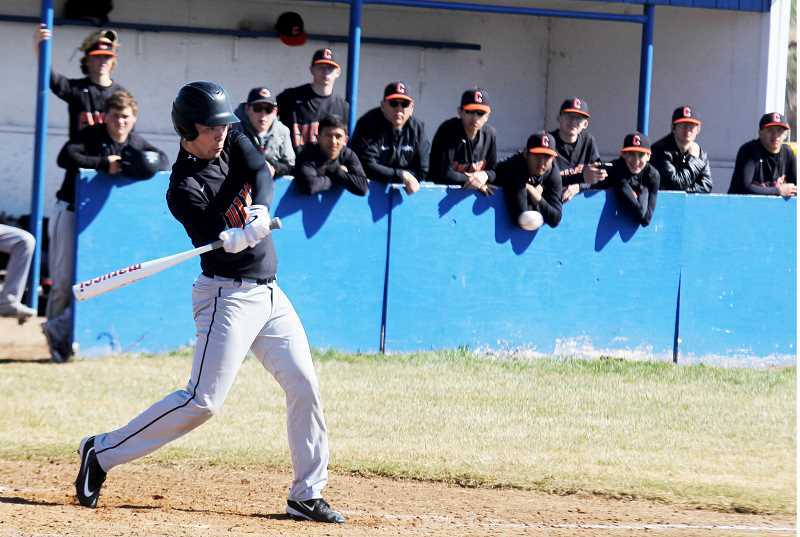 The Culver Bulldogs baseball team started league 2-1, playing Western Christian in all three games. Their two wins came down to the last inning, where the Bulldogs were able to prevail. Culver played the Pioneers in a doubleheader, Monday, April 1 at home. In the first game, Culver really struggled at the plate, striking out 16 times. Braydan Macy hit an RBI single for the Bulldogs in the fifth inning. Western Christian was able to hit a home run in the game, helping them take a 3-1 lead, heading into the bottom of the seventh inning. In the last inning of the game, the Pioneer pitcher walked seven Culver batters in a row and the Bulldogs were able to hang in the game for a 4-3 victory in their first league game of the season. "It's really hard to compete with anyone when you have 16 strikouts," head coach Joey Graves said. "Cord Gomes pitched for us and did a really good job of keeping us in the game defensively." Anthony Hood and Tadd Anderson both hit a single in the game and the Bulldogs recorded three hits as a team. The second game of the doubleheader was a different story for Culver, losing to the Pioneers 14-1. The Bulldogs struckout six times in the five inning game. Joe Russo scored on a passed ball for Culver, scoring their only run of the game. "We still couldn't hit the ball," Graves said. "Credit to those guys (Western Christian), they hit the ball pretty well and really took it to us. The story of the day was really just struggling at the plate." The Bulldogs recorded one hit in their loss, coming from a single by Russo. Culver traveled to Western Christian Wednesday, April 3 and was able to defeat the Pioneers in extra innings. The Bulldogs were down 4-1 heading into the seventh inning and were able to tie the game, sending the game to extra innings. Brody Little started the seventh inning off with a single and Hood moved him to second with a single. Gomes hit another Bulldogs single, loading the bases for Jamal Ortiz. Ortiz stepped up to the plate and hit a two RBI double, cutting the Pioneer lead down to one. Russo hit a double, scoring another Culver run and the Bulldogs tied the game. In the eighth inning, Macy hit a single to start things off. Hood was hit by a pitch and Anderson hit a single to score Macy. Gomes entered the batter's box and crushed the ball for a two-RBI double. Gomes crossed the plate later in the inning for the Bulldogs fourth run of the inning and Culver beat Western Christian 8-4. Anderson pitched all eight innings for Culver, recording 10 strikeouts on the mound. "The practice before this game we talked about having an aproach at the plate, going through things in your head, what you need to do in certain situations," Graves said. "We have really been trying to preach about taking care of the little things. In game three, we really pieced it together. It was a huge improvement from the first two games." "I feel pretty confident with this team," he said. "Baseball is a funny sport, where when you can play catch and know where the baseball is going at all times, it will really help you win games. That is really what we have been trying to work on in practice. I think we can put it all together and not always have those late inning victories, do it through a whole game, and we will be pretty competitive." 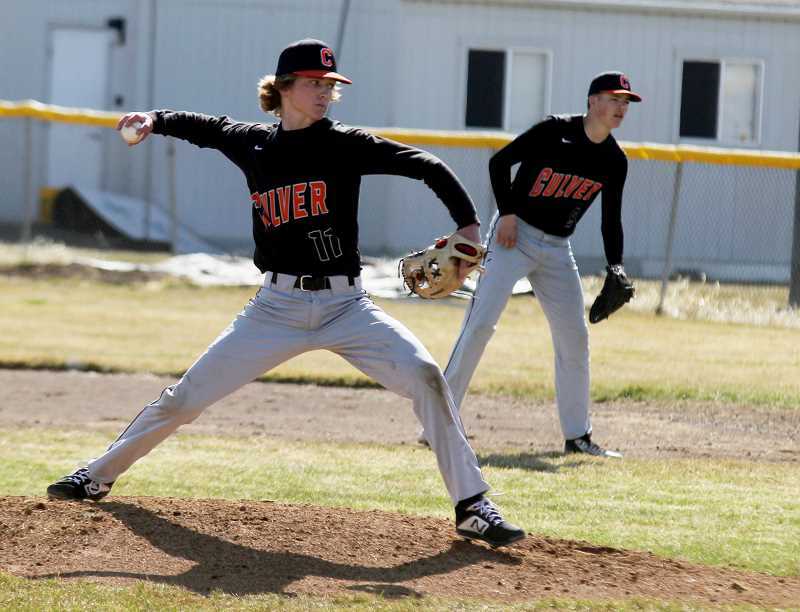 Culver has a game scheduled at Sheridan, Thursday, April 11 and a game at Santiam, Tuesday, April 13.